Welcome to the 51st CONKERS’ CORNER recorded live at the House of Lords with the Right Honourable, Lord Lee of Trafford, the first ISA Millionaire. Lord John Lee was born in 1942 and educated at William Hulme’s Grammar School in Manchester, the son of a Medical Practitioner and Child Psychologist. He left school at 16 and took Articles with Royce, Peeling Green & Co qualifying as a Chartered Accountant in 1964. He then joined the leading Manchester stockbroking firm of Henry Cooke Lumsden where he worked for two years primarily as PA to the Senior Partner. A mere two years later and still in his early twenty’s he set up, with two non-executive colleagues, Second City Securities Limited, a company specialising in amalgamations and mergers which developed into a public investment banking group Chancery Consolidated, subsequently taken over by Arbuthnot Latham. In the early 1970s he joined Paterson Zochonis, subsequently serving as a non-executive director of PZ Cussons for ten years. Lord Lee’s political history and charitable great deeds are widely recorded therefore I won’t go into them here. However I would highly recommend for those that are not as familiar with him as much they would like, please read this Wikipedia page or this Parliament page. For nearly sixty years John Lee has been a private investor having bought his first share in his teens. For many years his focus has been on investment in the smaller quoted companies, particularly those with a significant proprietorial or family interest. He has written over 250 articles for FT Money mainly under the “My Portfolio” banner, and from time-to-time for other publications and also made a number of appearances on “Share Radio”. In 2003 he was adjudged the first ISA millionaire having created an ISA portfolio worth a million pounds from a total investment over the years of £126,000. It is for this that he has become particularly well known in investment circles. Where he also delivers presentations and contributes enthusiastically to investment panels, investing masterclasses and stocks and shares finance events nationally. 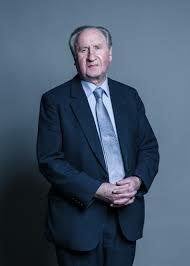 2001, he was appointed to the House of Lords as a Lib Dem Peer in 2006 where he continues to sit today, focused on Tourism, Defence and Investment matters. He is joint chairman of the Tourism and Hospitality All Party Parliamentary Group and a Trustee of the Armed Forces Parliamentary Trust. He has become Deputy Chairman of the Museum of Richmond and sits on the Development Committee of The Poppy Factory. Many years ago he was instrumental in creating and administering a family charity – The Lee Bakirgian Family Trust – which supports a range of youth and community etc, related charities and causes. 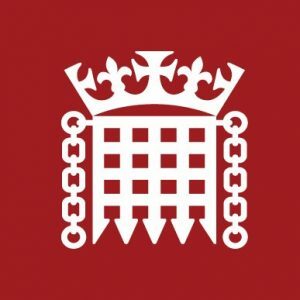 Please listen now to gain insights into how Lord John Lee has mastered the art of investing in small cap shares many of which are also listed on the Alternative Investment Market (AIM). Take the opportunity to learn from his many lessons during his investing journey, including: what he means by “heart bypass money”, how he became the first ISA Millionaire and much more. #CONKERSCORNER: The smarter investing and business journey. I hope you have enjoyed this article, its podcast and video. Please share it with your friends, family, colleagues and investing network. You can find conkers3 on Twitter @conkers3. Email or contact CONKERS3 directly by phone should wish to share your smarter investing and business journey with a larger regional, national or global audience.